Thank you to Interstate Pest Management for sponsoring this post. As always all opinions are my own. Running the same neighborhood loops over and over can start to be a little boring so it’s always nice to mix things up with a new route. 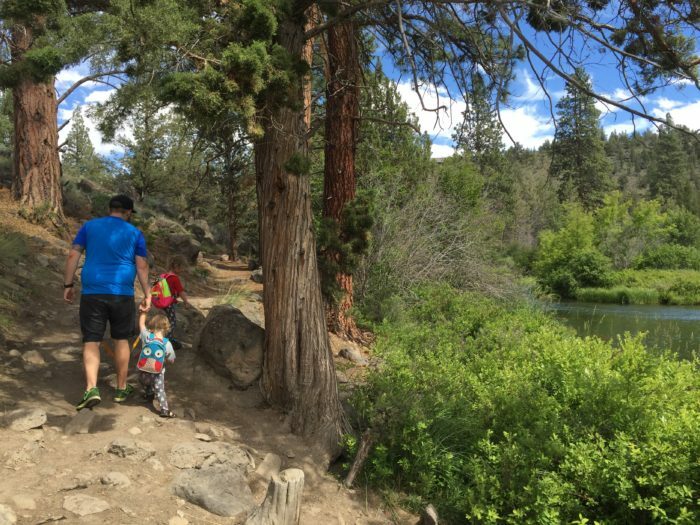 Add in some scenic views and you’ve just made your run go from a workout to an adventure. 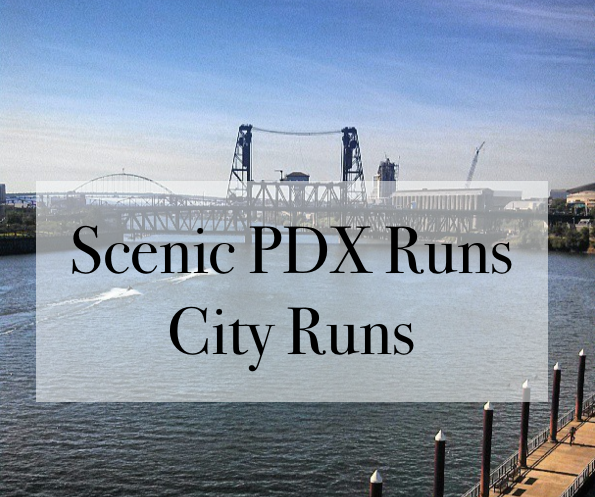 So whether you are from Portland or are just stopping through for a visit these runs are fantastic ways to get some of the best of what Portland has to offer from city to nature. 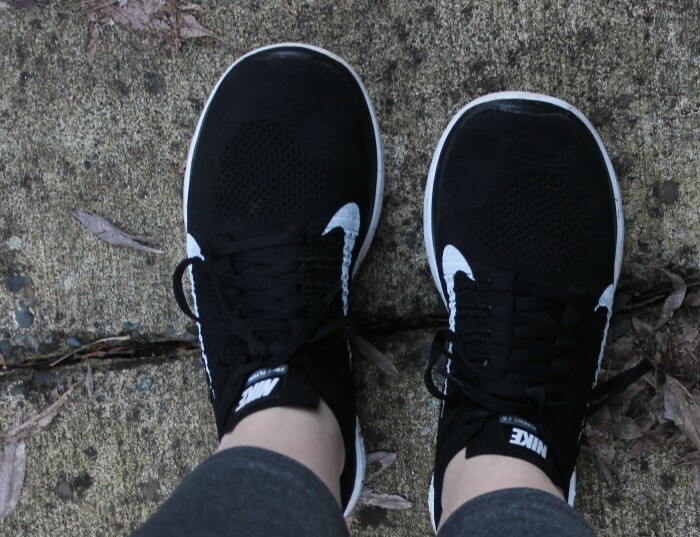 Honestly if you’re not a runner no worries these runs are also great for walkers, hikers, and bikers. Lower Macleay Park to Pittock Mansion (5 miles out and back): This run is for my trail runners. Starting at Lower Macleay Park you’ll run until you meet Wildwood Trail and from there you will follow the signs to Pittock Mansion. 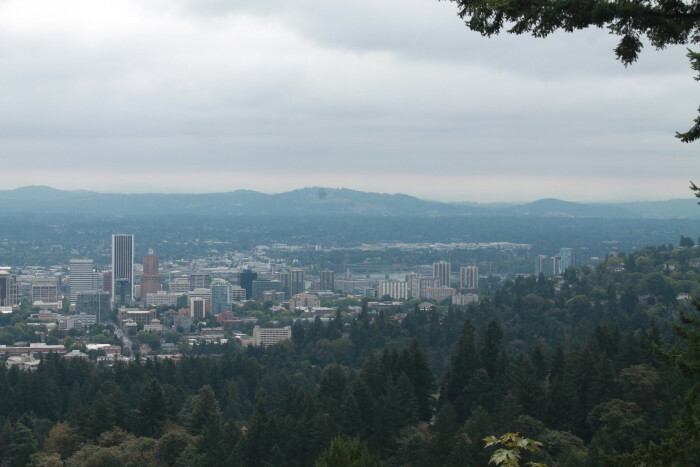 Once at Pittock Mansion head over to the mansion and take in the city views from the top. Once at the top to complete your run you’ll head right back down the way you came. Tip: This run is great any day but for optimal views seek out a bright clear day. 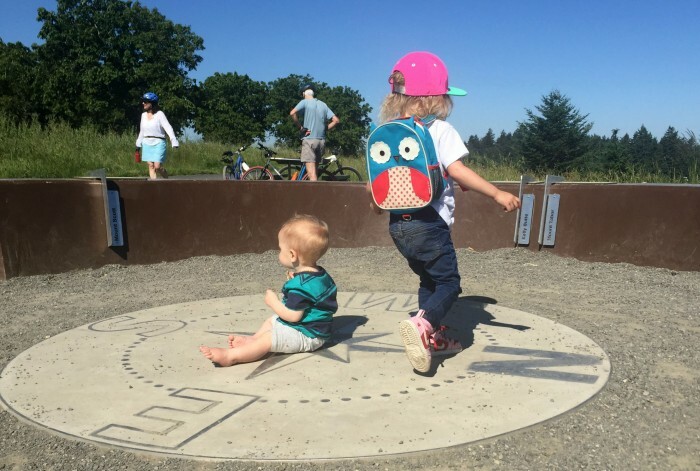 Powell Butte (10 miles of trails): There are many spots to jump on to the Powell Butte trails but a great spot to start is the Visitor Center where there is a good amount of parking and restrooms. From the visitor center you will head up to the summit where you will find open meadows and a great running path. 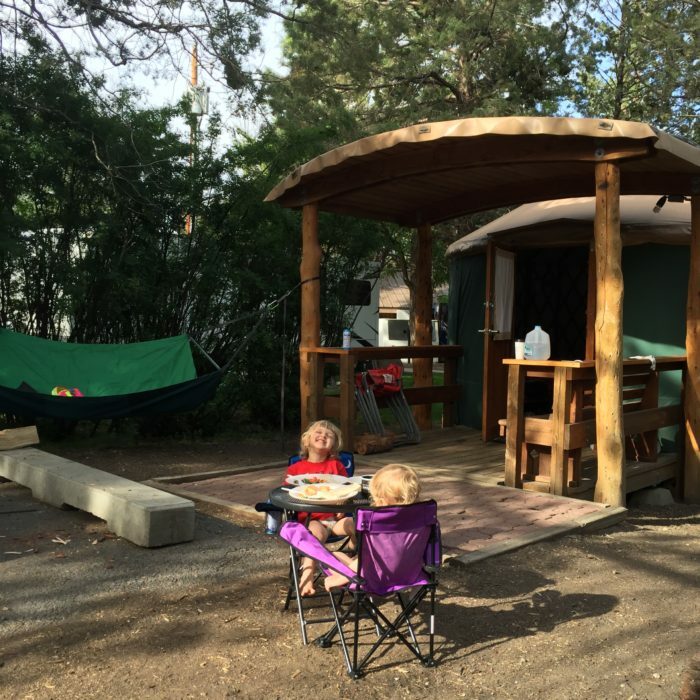 Make a stop at the mountain finder where on clear days you can see Mount Tabor, Kelly Butte, Mount Saint Helens, Mount Adams and Mount Hood to name a few. 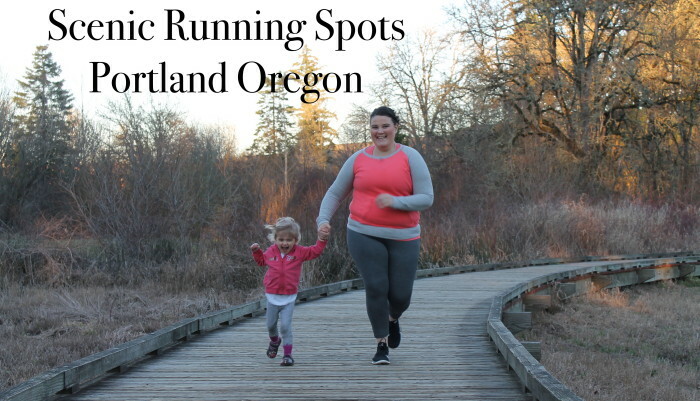 There are a total of around 10 miles of trails winding through Powell Butte so you can really make this run any distance that you like. 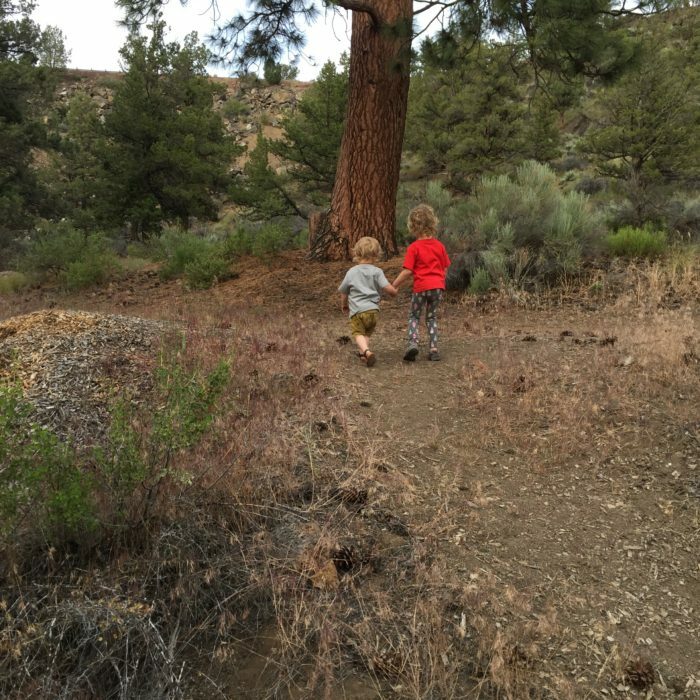 Tip: These trails are used by hikers and bikers as well so stay alert! Is it only Wednesday? This week is dragging but at least the food I’ve been munching on has been tasty. 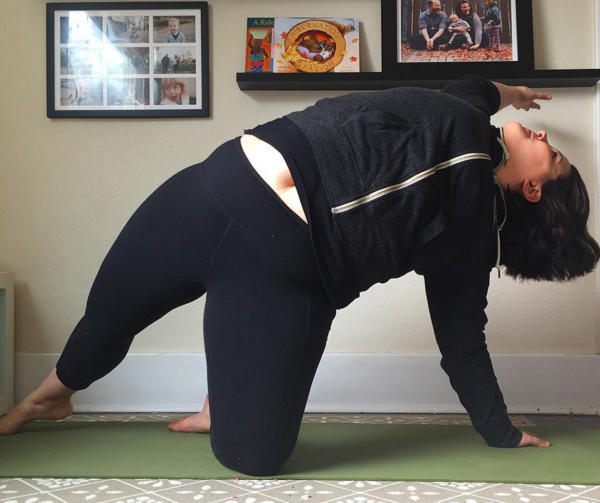 I am on week two of my local foods challenge and so far it’s going really well. I’m at about 47% local due to picking up a few treat items the other night but I have no fear that I’ll be back up to 50%+ next week with my organics box delivery which is almost all locally sourced produce. 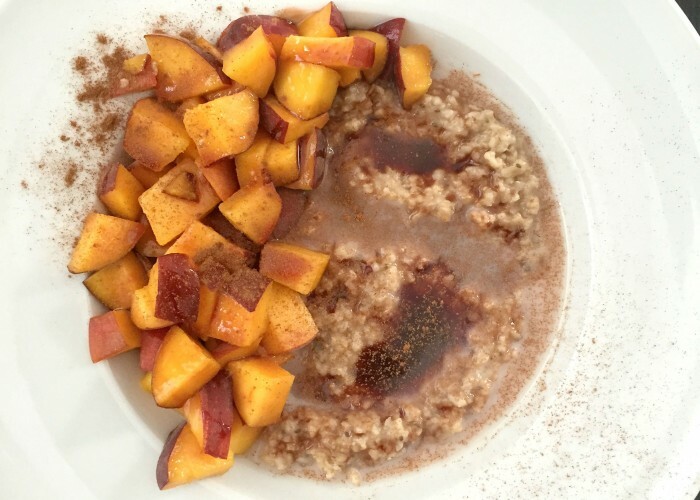 Breakfast: Love Grown Foods Oatmeal with a local juicy peach, Forage cashew milk, Date Lady syrup and cinnamon. The internet buzz about Love Grown Foods oatmeal won and I picked up a packaged of their oats this week. The verdict? It was so good! I picked up the Super Oats Nuts & Seeds and it is filled with Gluten-free oats, chia seeds, almonds, quinoa flakes, amaranth flakes, pumpkin seeds, walnuts and flaxseed. I topped it with a local juicy peach from our organics box and a few of my other favorite toppings. It was a simply, filling and delicious breakfast. I made Neil and I these loaded baked french fry bowls for lunch on Sunday. All of the produce which included potatoes, cucumber, onion, bell pepper, tomato and shiitake mushrooms were all locally sourced. To make the shiitake bacon I sauteed them with coconut aminos and a little (vegan) bacon salt. 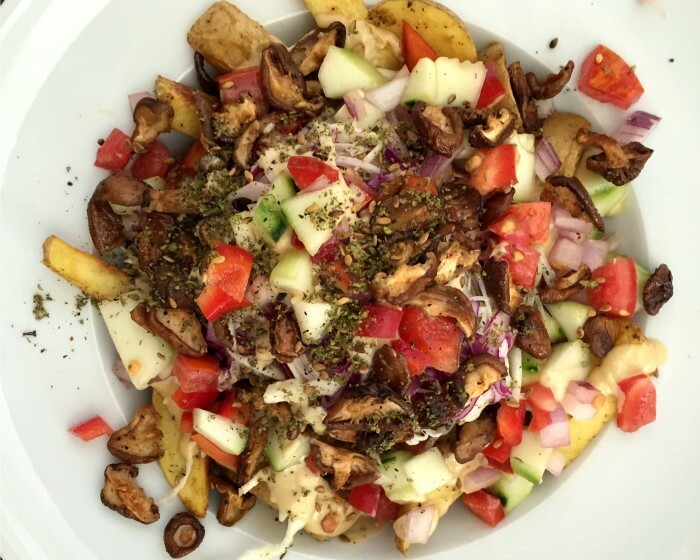 I also topped our fries with tahini sauce and za’taar. 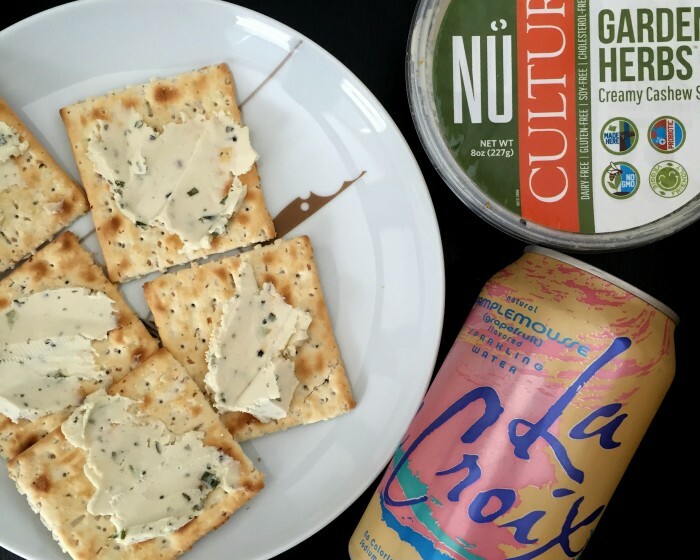 My favorite snack right now is Nu Culture “cheese” (based in The Dalles, OR) on stoned wheat crackers and a seltzer. These cheeses are so good! If you follow me on instagram you might remember the bacon chipotle flavor I tried a few weeks ago. This time we tried the garden herbs and it was also super good. It’s creamy, tangy and just a nice treat. Lastly, it’s all about the coconut ice cream. 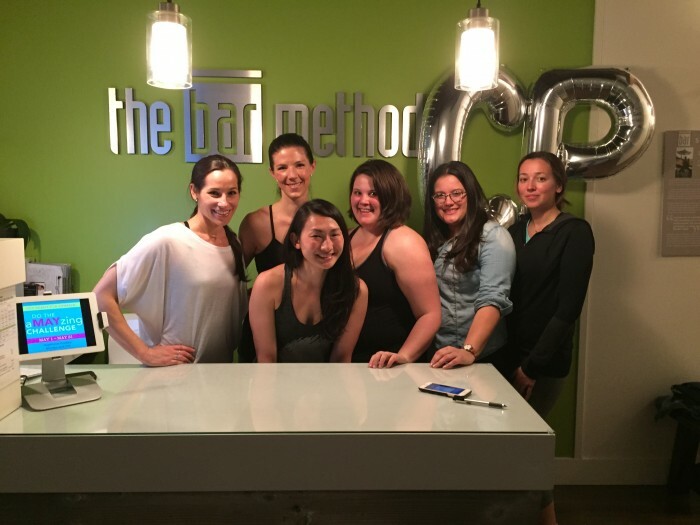 We were in Sellwood (PDX) yesterday for a doctors appointment and dinner. 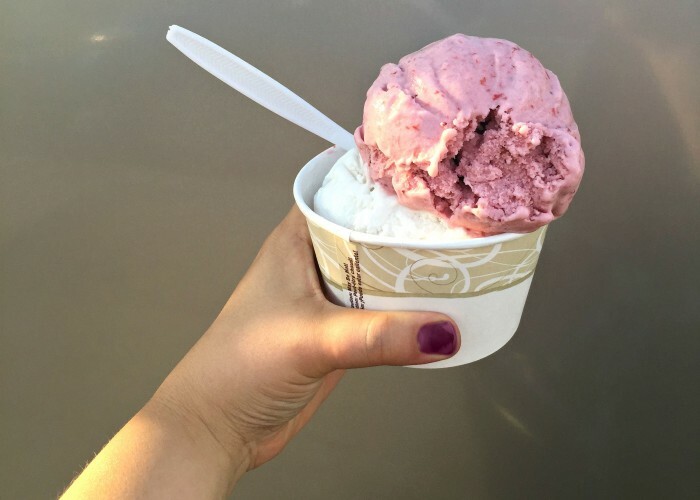 We came across a new ice cream cart at the Sellwood food cart pod and not only did it have sorbet but they also had coconut “ice cream”. We sampled each flavor and decided to share the coconut and strawberry coconut between the four of us. It was super creamy and flavorful. Edith has declared that she doesn’t want to share again that she needs to have her own of the “white one”. Check it out of you are in Sellwood or honestly head down and make a special trip. 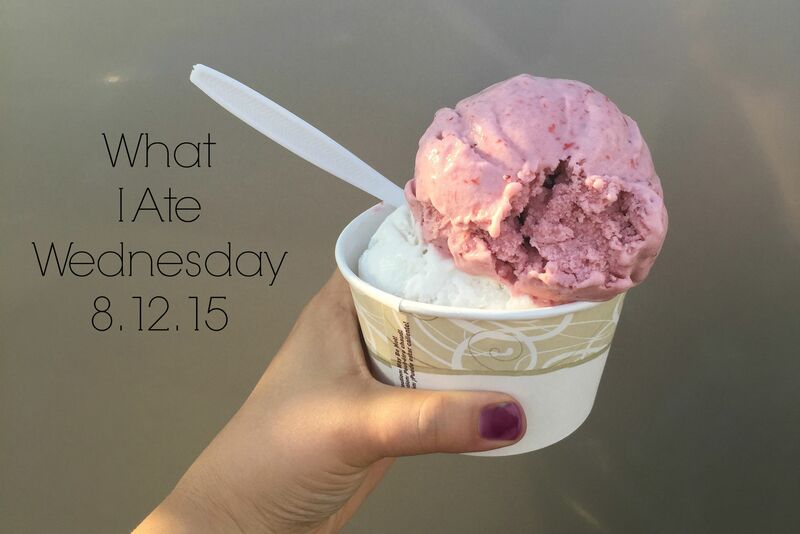 What have you been eating this week? 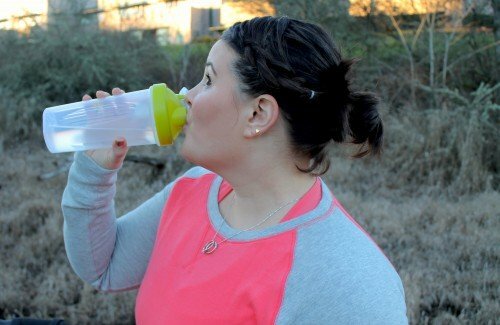 Any fun new food finds or recipes? I find that some weeks I look at our calendar and there is almost nothing going on and then we have a week like this one. I am already stocking up on coffee and snacks because busy weeks while fun always need a little bit of extra fuel. So what am I looking forward to this week? 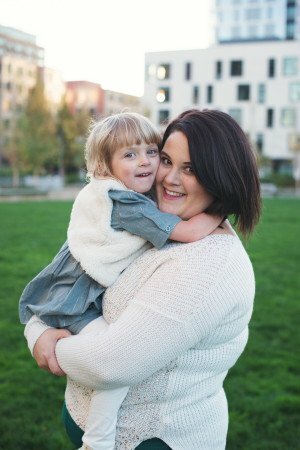 New Seasons Slabtown opens this week! Okay so who else loves to visit new grocery stores? There is something about a brand new store with all of it’s organized displays and it’s clean and new and fresh. I just love grocery shopping in general so if you say new store you’ll be I’ll be there for the opening. Oh and I’m getting a sneak peek of the new store tonight so follow me on instagram [@runwithtongs] and snapchat [lindsayingalls] for a sneak peek too! Oregon Wine Country Half Marathon! I won’t be running this half (this year at least) but I am so excited to head out to wine country and cheer Neil on. This will be Neil’s 5th half marathon and I couldn’t be prouder of him. He used to tell me that he could never be a runner but he obviously has proved himself wrong. So excited for this event! In edition to these three events we also have three birthday parties and will be spending time with friends before they head back to Germany. 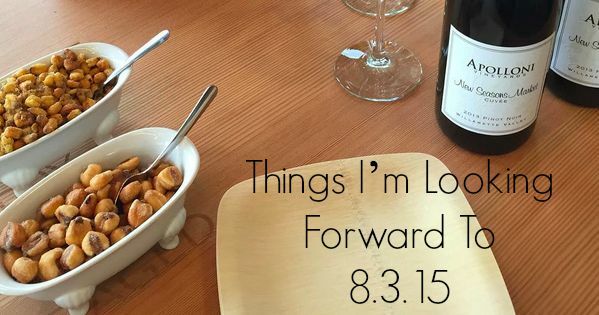 I feel like August is just our month with so many great things going on. 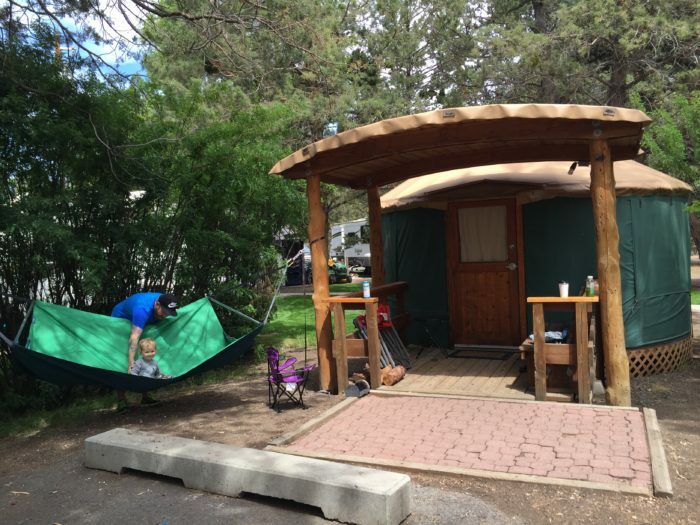 The one thing I am not looking forward to is packing because packing with two little ones is less than ideal but alas it has to be done some way, some how. Eating local is something that is pretty important in our house. We make an effort to purchase locally produced products and locally grown produce and we are lucky that we have so many great farmers markets in the area and that the grocery stores we frequent the most such as Whole Foods has so many locally produced products and fruits and veggies. 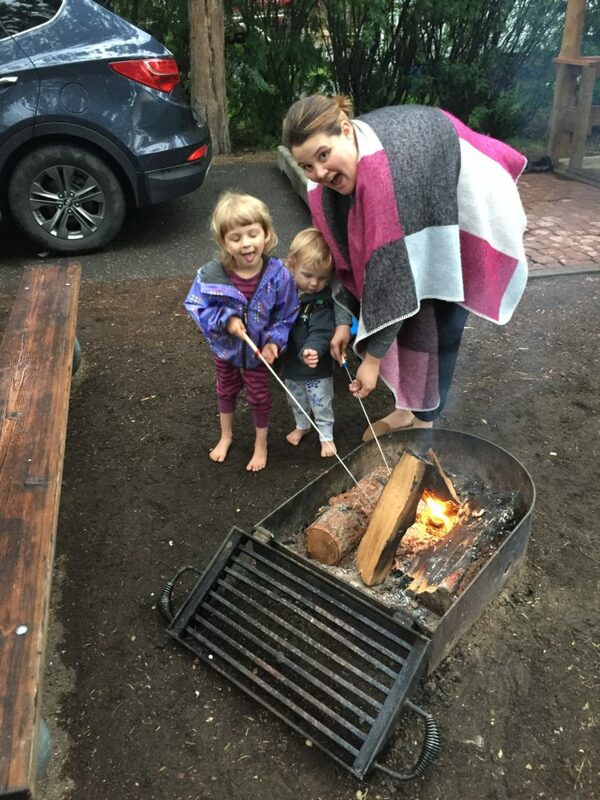 For the month of August we [our family] are putting even a greater focus on eating locally and we are participating in the Oregon Food Bank Local Food Challenge. Local food supports the local economy: Money spent on local food stays close to home and is reinvested in the community. It’s easier on the environment: From helping to maintain farmland and open spaces to reducing the carbon footprint. Locally grown food is full of flavor: Food grown nearby is less likely to have lost nutrient value since the time between harvest and market is shorter. It builds community: Shopping at a farmers market can encourage you to explore the neighborhood, make new friends or reconnect with old ones. I would say in July we probably only spent about 25% of our monthly grocery budget on local products/produce. 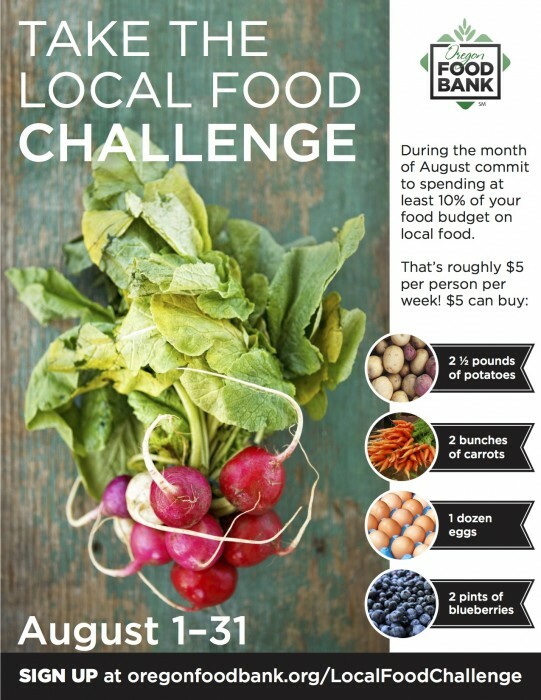 So for the month of August we are taking the Oregon Food Bank Local Food Challenge and we are challenging ourselves to spend 50% of our food budget locally. It might be a bit of a lofty goal but I think ultimately it will force us to eat more whole foods and shop the farmers markets and farm stands around us more often. Don’t worry you don’t have to have a lofty as a goal as us. You can participate in the Local Food Challenge with goal to dedicate at least 10% of your food budget on foodsgrown, raised, or caught within 200 miles of where you live. For the average person that’s just $5/week. 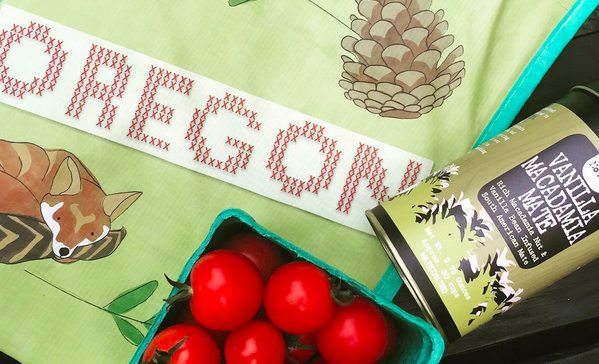 We’re excited to join Oregon Food Bank for the Local Food Challenge , a month long initiative to eat locally August 1-31. Register today and make a commitment to eat local! To make shopping locally easier Whole Foods is kindly offering a $50 Gift Card for one lucky RWT reader. 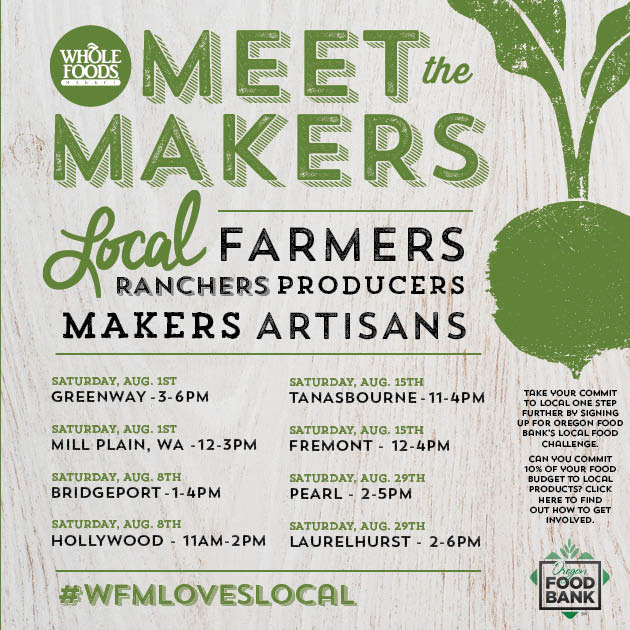 Also if you are local to Portland don’t forget to check out one of the Whole Foods Meet The Makers events going on this month. Happy Friday Friends! We are in full race training mode at our house with my 10K this September and Neil has registered for the Oregon Wine Country Half (and I’m totally jealous). 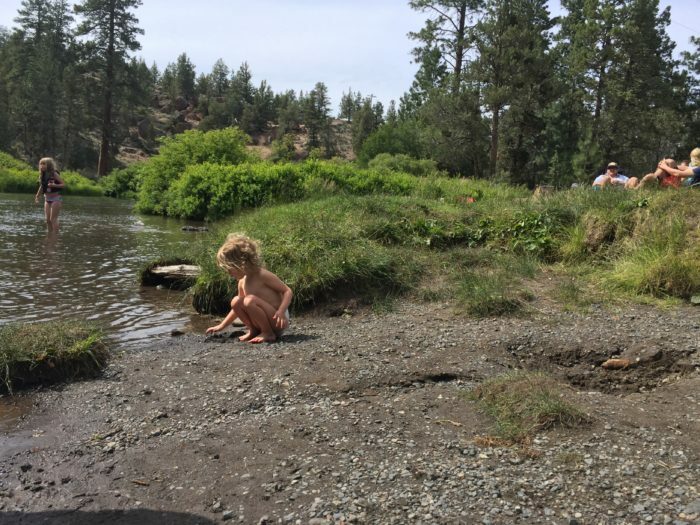 This race has been on both of our bucket lists since we moved here in 2013 and this year Neil is going to be crossing it off his bucket list. I’m hoping that next year I’ll be free of running injuries and maybe I’ll be able to cross it off my bucket list as well. The Oregon Wine Country Half Marathon starts at Stoller Family Estate, offering an idyllic 13.1-mile course that runs through the heart of the Willamette Valley in Yamhill County, winding past a cluster of four American Viticulture Areas and through vineyards and orchards before reaching the beautiful residential area of Lafayette. 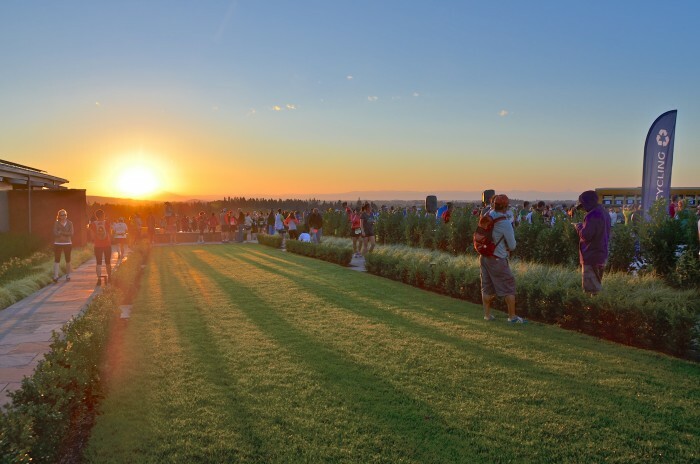 Participants rave about the small-town charm, incredible sunrise views, scenic course, great wines, and post-race Wine & Music Festival, presented by Ken Wright Cellars in the heart of Carlton. The Wine + Music Festival will feature over 20 wineries and Lagunitas Brewing Company pouring at the event, along with live music! 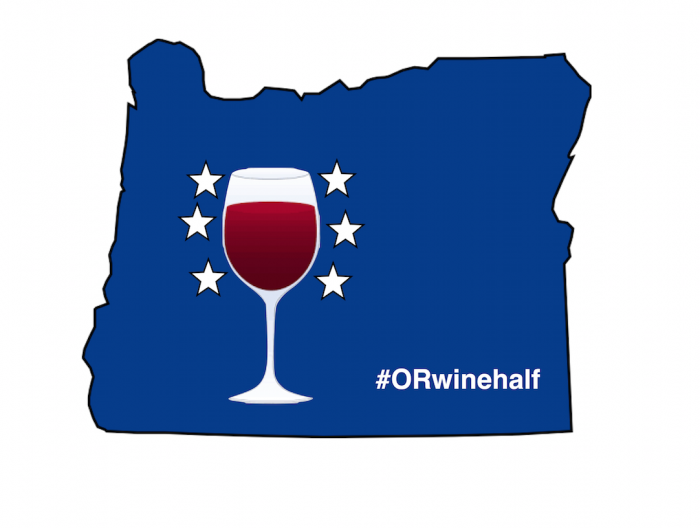 For more information, including a complete list of wineries, course map, and travel information, visit the race website:http://destinationraces.com/runoregon/. Before you head out for you Fourth of July celebrations get into the spirit by celebrating our 33rd state!If you’re not sure which one that is, here is a hint. 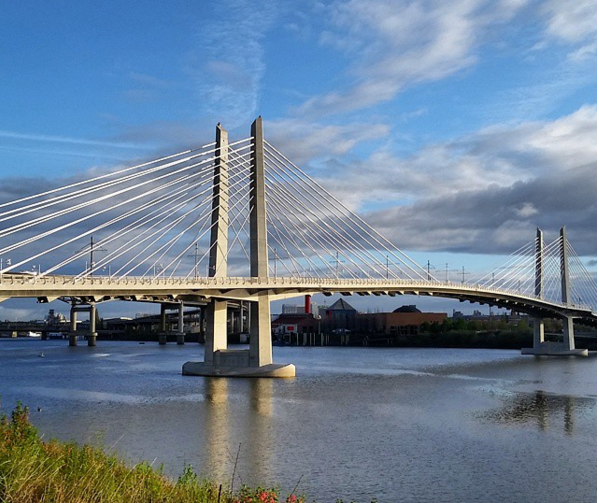 You’ll find the beautiful Willamette Valley located here and it’s known for amazing Pinot Noir. 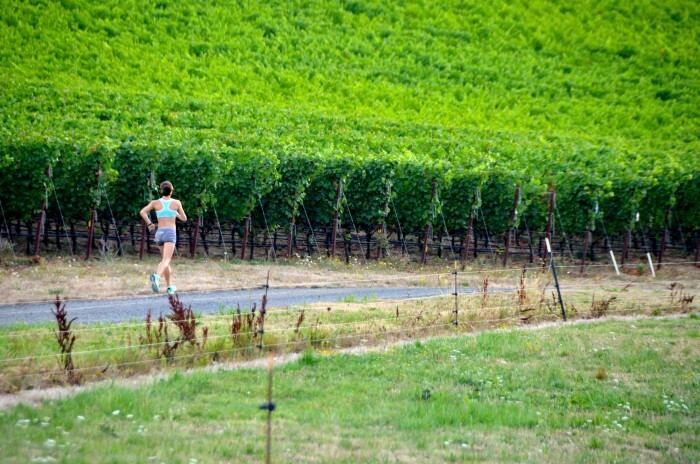 Earn your stripes by running the Oregon Wine Country Half Marathon – it’s going to be a blast! 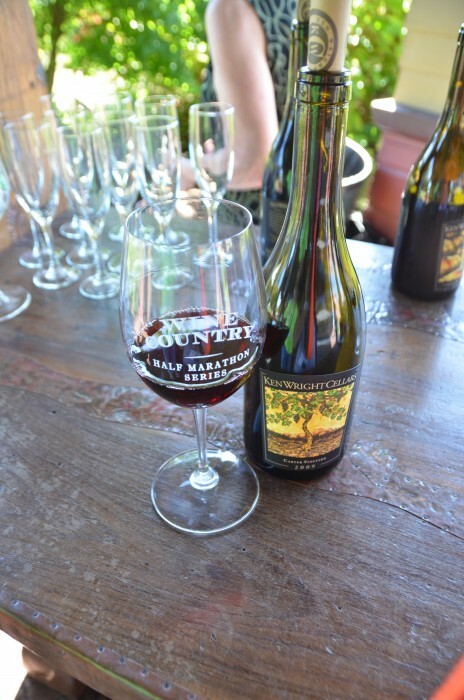 Register to run the Oregon Wine Country Half Marathon from now until July 9th at 11:59pm for your chance to win a case of Pinot Noir and an awesome training kit (Fitbit tracker, running shoes and more). Disclaimer: Neil received entry to the race in exchange for this post.We are thrilled to attend and cheer him on! I received no monetary compensation for this post.